“Who knows?” says Charles Gandy with a laugh, when asked what inspires his ideas for fantastical knitted socks. With witty names like Dancing with the Stars, DreadSox, and Eyes of March, his creations are meant to inspire wonder, not to warm feet. 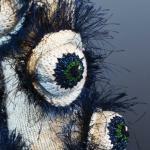 One of only two men among the world’s 280 Master Knitters, Gandy has risen to the top of his craft, just as he did during a 40-year career as an award-winning interior designer. He now serves on a Knitting Guild Association committee that reviews candidates for certification. 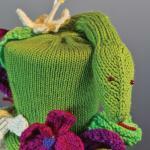 His book The Embellished Sock: Knitted Art for the Foot has gained him scores of fans. 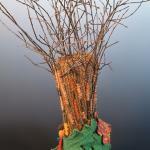 And this spring, his solo show opens at the Bascom Center for the Visual Arts in Highlands, North Carolina. After he learned to knit at age four from his mother, who owned a knitwear shop in Alabama, Gandy thought everyone practiced the skill, as a hobby or profession. “What a shock it was to go to school and learn that not every child knew how to knit!” he says. 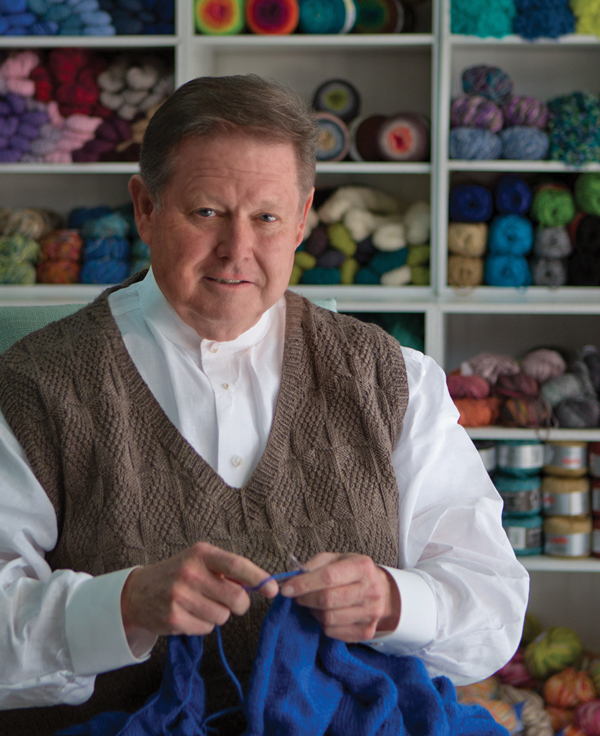 Gandy continued to knit throughout his time at Auburn University, where he graduated with a degree in interior design and a minor in weaving. After he established a prominent Atlanta design firm with Bill Peace, Gandy’s work was widely published in major shelter magazines. He was elected national president of the American Society of Interior Designers (ASID) and elevated to fellow status, the society’s highest honor. 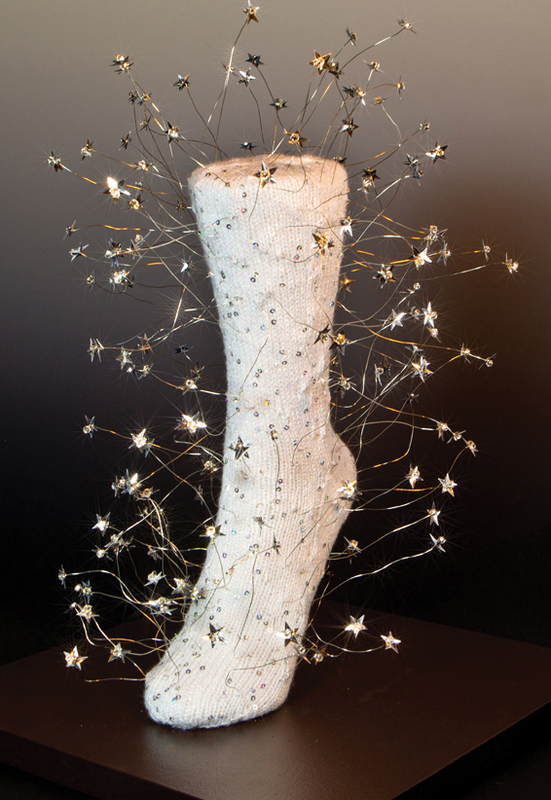 Always involved with fiber and craft, Gandy served for seven years on the board of trustees of the American Craft Council, whose juried national shows feature works in a variety of mediums. Whether ideas are for interiors or knitwear, Gandy maintains that one informs the other. “Architecture and knitwear are both design. Let’s face it: Design is design,” he asserts. “The principles are the same: balance, scale, rhythm, proportion, texture, contrast, color.” Spoken like the teacher he is—Gandy periodically instructs students at the John C. Campbell Folk School in Brasstown, North Carolina, and at workshops across the country. 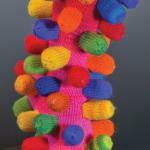 Check it out: See Gandy’s solo show, Beyond the Sock: Knitted Art by Charles Gandy, at the Bascom Center for the Visual Arts in Highlands, North Carolina, from March 12 through June 12. This article originally appeared in our Spring 2016 issue of Atlanta Magazine’s HOME.